Having a support package with us has its perks. To thank our clients for choosing us for their PrestaShop support we have partnered with some of the biggest names in the PrestaShop industry to put together a package of discounts for our members. 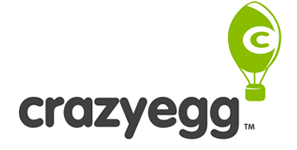 Crazy Egg is the go to software for increasing conversion. With heatmaps you can figure out what is working for your site and what is not. 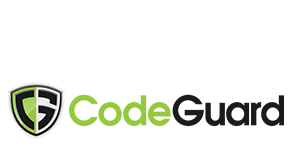 CodeGuard offers automatic daily backs up of your site with an easy restore option as well. It will even let you know if files have been modified. Presto-Changeo is our go to place for shipping and attribute modules for PrestaShop. Their shipping modules are the best on the market so are their attribute modules too. Xtendify is one of the largest marketplaces for PrestaShop modules online. They are well known for their Express Cache module an also their Express Reply module, we recommend both. Agile modules is the go to PrestaShop module store for all of your multi-seller needs. They have a wide range of modules to turn your PrestaShop into a powerhouse for multiple sellers. Nemo’s Postscriptum makes the absolute best SEO modules for PrestaShop. Their SEO Booster module will help super charge your SEO and they also make the best clean URL module too. 40 Nuggets offers one of the best most affordable popup marketing solutions. We like it so much we started using it on our site about a year ago. It has helped both conversion and mailing list signups. PresTeamShop seems to develop modules that we love. We have written about their modules several times. We have personally used this one page checkout module and increased client conversions. Yotpo is our go to recommendation for clients needing more customer reviews. They have several different plans to fit any budget, but one thing is sure you will get more reviews whichever plan you use. Bellini Services is the only developer of several PrestaShop payment modules such as Stripe and Braintree. The also develop a Swiftmailer patch which will allow you to use 3rd party mail services. When you need PrestaShop Hosting, you need ultra-reliable servers. You need A2 Hosting. They are PrestaShop’s Premium Preferred Hosting partner for a reason, great servers and service. Business Tech is the leading PrestaShop module developer for everything Google, social networking and marketing related. Their financial reporting module also won the 2015 PrestaShop Awards. MaxCDN offers one of the largest, fastest CDN networks in the world. If you are serious about the speed on your site you should start using a CDN with shop to increase the loading speed. Leo Theme is one of the largest PrestaShop theme makers with dozens of elegant themes. All of Leo’s themes are built on their PrestaShop framework which is fully responsive and feature packed. Algolia is hands down the fastest way to handle the search in your PrestaShop site. We have recommended this search service to several of our clients and all of them have seen a greater conversion rate. Belvg makes a wide range of PrestaShop modules and templates that will make your shop look and work flawlessly. They specialize in modules that should be part of PrestaShop but are not. Cloudways provides cloud based hosting with an easy to use interface. One of the best features about Cloudways is that you can chose the cloud you are on and you can grow your cloud instance on demand. Template Monster is the largest template developer for PrestaShop sites. Their library of Prestashop themes all over mobile responsiveness and merged with some of the best layouts in the industry. Make local SEO fast, accurate and easy to manage. From finding citations to tracking your rankings, our tools help you show up, win customers, and manage your local SEO. PrestaMonster provides the best POS solution for PrestaShop. They also offer an Instant Paypal checkout, Quick Quote Tool, and both New Zealand and Australian Post modules. Etiendas owner is one of the top moderators of the PrestaShop forum. He also makes PrestaVault, a module so valuable we recommend installing it on all of our clients stores. Want to join our perks program? Is your company interested in becoming part of our support perks program? If so contact us here and let us know what you have to offer. We are always interested in providing our clients with exclusive deals from companies that sell products they can benefit from using. Our support perks program is for new and existing support clients. If you have a current support account with us you can use the link below to log in. If you do not you can purchase a support account and get access to all of the perks we offer.